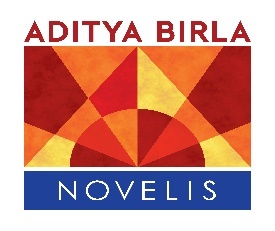 ATLANTA – Novelis Inc., the world leader in aluminum rolling and recycling, today (April 16) announced it is supplying Toyota Motor Corporation with premium aluminum automotive body sheet for the all-new 2019 Toyota RAV4. It will be produced at the plant in Scriba. The RAV4 is Toyota’s number-one-selling vehicle and the best-selling non-pickup-truck in the country. With a new-and-improved design that includes Novelis aluminum in the hood, fenders and lift gate, the fifth-generation model of the RAV4 is four percent lighter than previous models. By lightweighting the vehicle with aluminum, Toyota had even more flexibility to add new features, while also increasing the width and wheelbase. To meet Toyota’s stringent requirements for joining and performance, Novelis supplied Advanz™ 6HS – s600 and Advanz™ 6HS – e600, which are heat treatable alloys specifically designed and optimized for high strength requirements, offering a balance of formability and strength. In addition, a team of Novelis engineers and metallurgists developed a new thermomechanical manufacturing process at the company’s facility in Scriba where Novelis produces the alloy for Toyota. It appears there’s no increase in jobs with this but also must be that the union that was trying to force its way in there didn’t succeed either so they’ve secured another account for the local plant….a good thing on two fronts anyways. How about someone bringing an automotive plant to Scriba so they don’t need to ship aluminum to the auto makers? Wouldn’t that cut down on tariffs??? ?